Our August-themed recipe redux for 2016 is vacation-inspired recipes! Nothing says vacation more to me than summer time. And not too many things say summer time more than ice cream! While I completely agree with the motto all things in moderation, there’s no reason you can’t lighten up a delicious treat like a banana split! Living in NOLA – with family spread across many states – means that our vacations revolve around visiting family. Whether it’s a weekend get-a-way or a long holiday break, you can almost guarantee we’ll be making a trip to Georgia or up north to Illinois. Surprisingly, with my sweet tooth, I’m not a huge ice cream lover. If it’s in the freezer for the hubster, it’s one of those things I can resist. But when we go home, you can bet I’ll be looking forward to our pajama run to DQ for some sort of treat. Banana spits are not usually my go-tos, but I couldn’t stop thinking about the colors & textures and how satisfying and refreshing it would be in these last few days of summer. I’m kidding, it’s no where near the end of the summer weather for us in the south. Just wishful thinking here. I love summer, but these days are brutal…. But that’s a perfect reason to indulge in these portable, kid friendly, pool-side ready treats! 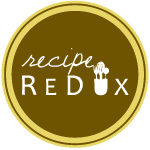 If you know me at all you know I love a good easy, fast, and versatile recipes that are sure to taste good and please many! And these do not disappoint! You can even make a red, white, and blue edition to your Labor Day festivities coming up! In a small mixing bowl, combine the Greek yogurt, cream cheese, sour cream, vanilla extract and sweet drops and mix well with a fork or spoon. Thread a piece of each fruit onto the skewers. Drizzle with the cheesecake mixture and the melted dark chocolate. Sprinkle with the chopped walnut & granola pieces and coconut flakes. You can omit some of the toppings, if desired and for personal preference. And, I only had time to make so many before sleeping beauty awoke from her nap. You can make as many as you’d like.